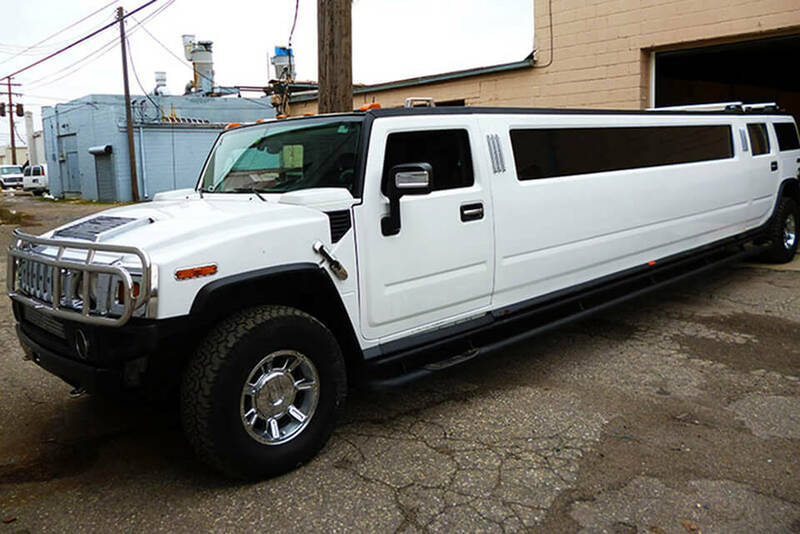 Our Hummer Limousine is sure to drop some jaws when you roll past! 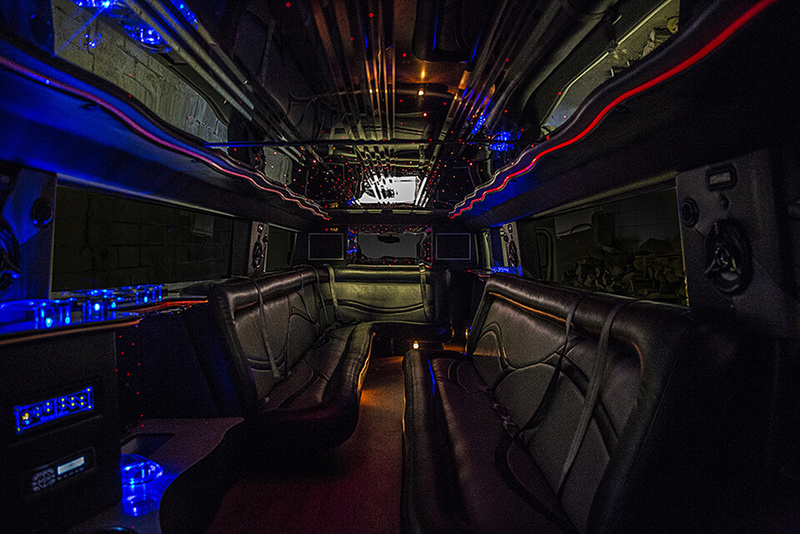 There's nothing better than an elegant limousine that can add an air of luxury to any regular event. It has fantastic features for you to enjoy such as comfortable wraparound leather seating and multicolored neon lights for an ambient atmosphere. Our customers love the custom built bar and cooler areas, as well as the hardwood flooring and premium televisions with DVD inputs. 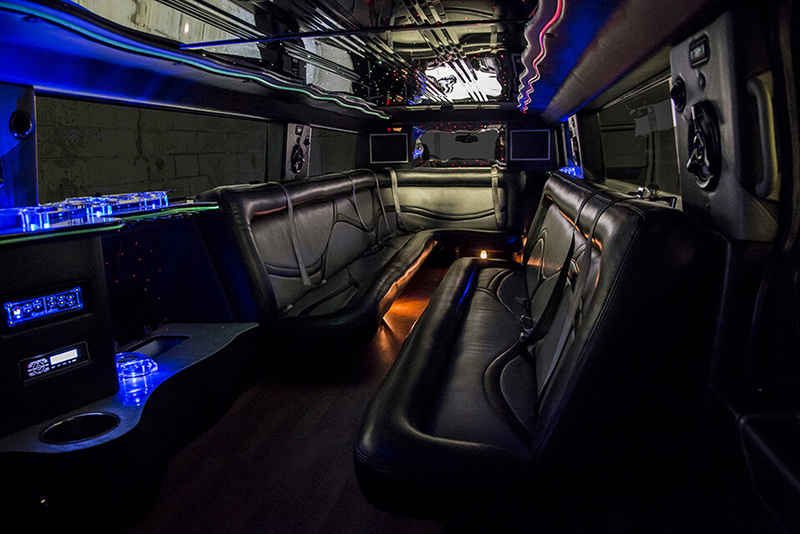 Reserve this limousine today! Ready to book a limousine? It's easier than ever! Call one of our booking agents to reserve your limousine.